(Rochester, MN) – Author and evangelist Lee Strobel was once an atheist who served as the legal affairs editor for the Chicago Tribune before embarking on a quest to try and disprove Christianity—an effort that ironically led him to embrace faith. 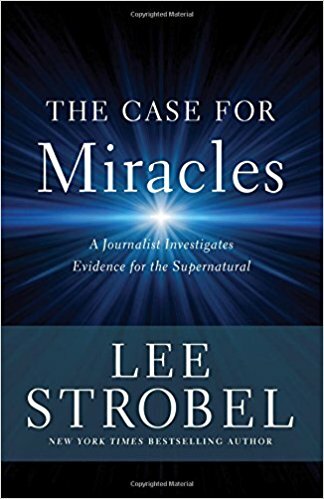 Now, Strobel, whose personal story was told through the Pure Flix feature film, book and documentary titled “The Case for Christ,” has released, “The Case for Miracles,” a new investigative book that relies on facts, interviews and studies to further explore spiritual matters. Strobel said that he has long believed that Jesus performed the miracles described in the Gospels. That said, before writing “The Case for Miracles,” Strobel was “ambivalent” about whether these miracles still happen today. Adding to that, he had some skepticism about some of the charlatans who have been exposed for making false claims about healings and the like. He encountered scores of healings and other claims of the miraculous along the way, but there was one case in particular that truly blew his mind: the case of Barbara Snyder. Synder’s miraculous healing, which unfolded more than 30 years ago, was apparently so shocking that even her doctors have written about her seemingly impossible medical turnaround. Snyder ended up in hospice care with a no-resuscitation order; she was nearly blind, her hands and body were curled and she had a tube in her throat to help her breath as well as a tube in her stomach to ensure proper nourishment. Meanwhile, her muscles were atrophied. The situation was pretty hopeless—until something quite shocking happened. Then, on Pentecost Sunday, two of Synder’s friends read her letters from those praying for her. As she listened, she said that she heard a male voice coming from the corner of the room—a voice she now believes was God. Bizarrely, her calves were inflated and her once-atrophied muscles worked again—and that’s not all. Her feet and fingers were suddenly straight and normal again. Her blindness, too, had been instantaneously healed. There were plenty of other stories just like it, too. 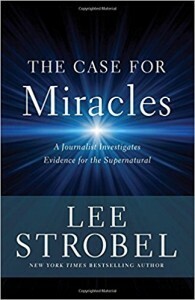 Strobel went on to explain that he interviewed skeptics and Believers, alike, and included their perspectives in “The Case for Miracles.” At the end of the project, Strobel said he was shocked to learn that miracles are not only common, but also well-documented. Likewise, Americans are quite prone to believing in the potential occurrence of miracles. “Only 15 percent, according to the polling that I did, believe that miracles cannot happen today,” Strobel said.